Specific Aim 1. To develop novel treatments for DLBCL based on targeting specific genetic and molecular alterations that contribute to the oncogenic process. Specific Aim 2. Identify potential biomarkers of antitumor efficacy using tissue specimens from patients enrolled on four clinical trials developed in the SPORE. We plan to identify and utilize biologic, genetic, and clinical biomarkers to select patients with DLBCL for novel therapeutic approaches. Project 1, we will develop novel treatments to target the oncogenic cooperation between Myc and Bcl2. Such therapy can subsequently be evaluated in patients enriched for high Myc+/Bcl2+ expression in DLBCL using standard immunohistochemistry methods. These patients have a clear unmet medical need, as they have a poor prognosis with standard chemotherapy. Project 2, we will investigate the safety and clinical efficacy of genetically modified T cells to express chimeric antigen receptors (CARs) targeting CD19 in elderly patients with relapsed DLBCL who are not candidates for stem cell transplant. These patients have a dismal prognosis, with a median overall survival rarely exceeding one year. Project 3, we will investigate the safety and efficacy of the first Tumor Enriched-Hsp90 (TE-Hsp90) inhibitor PU-H71 in patients with relapsed DLBCL.21,22 A novel PET-based molecular imaging using radiolabeled I-124 PU-H71 will be used to examine in vivo targeting of HSP90 by PU-H71, and to guide dosing and patient selection. Because c-Myc and intrinsic apoptosis pathway proteins are client proteins of TE-Hsp90, the efficacy of this treatment will be retrospectively assessed in patients with Myc+/Bcl2+ DLBCL. Project 4, we will elucidate the normal and pathologic role of CBP and p300 in B cells, establish pre-clinical models for their therapeutic targeting, and test the activity of the novel HDAC inhibitor mocetinostat in a phase II clinical trial. We will use targeted sequencing strategies to select patients with DLBCL that carry mutations in the CBP/p300 histone acetyltransferase (HAT) genes for therapy with novel HDAC inhibitors. Our goal is to identify safe and active new agents in biomarker-defined patients with relapsed DLBCL. Fig 1. Targeting the oncogenic cooperation between Myc, PI3K/AKT/mTOR pathway and Bcl2 provides opportunities for the development of mechanism-based targeted therapy of Myc+/Bcl2+ DLBCL. Drugs in red color either have proven clinical activity in patients with DLBCL, or currently in clinical trials in patients with lymphoma. Aim 1. To investigate the contribution of protein translation to Myc/Bcl2 expression In DLBCL. Except for the few cases involving Myc and Bcl2 translocations or genetic amplifications, the mechanisms responsible for Myc and Bcl2 protein overexpression in DLBCL remain undetermined. Understanding the mechanism responsible for Myc and Bcl2 expression may provide opportunities for novel treatment strategies. Aim 1. To conduct a Phase I/II clinical trial treating elderly transplant ineligible patients with relapsed DLBCL with salvage chemotherapy followed by CD19 targeted 19-28z CAR modified autologous T cells. Aim 2. To optimize the efficacy of CAR modified T cell therapy through additional PD-1 checkpoint blockade. Aim 3. To conduct a Phase I/II clinical trial treating elderly transplant ineligible relapsed DLBCL patients with salvage chemotherapy followed by CD19 targeted CAR T cells in combination with PD-1 blocking MAb. DLBCL are subjected to substantial levels of stress. Sources of stress for these cells include massive proliferation, genomic instability, starvation, hypoxia, and suppression of checkpoint proteins that normally maintain homeostasis. Stress pathway activation enables B-cells to survive long enough for sub-population of B-cells to emerge acquiring many genetic mutations that facilitate malignant transformation. Our data indicate that DLBCLs are often addicted to a stress protein called tumor enriched Hsp90 (TE-Hsp90). TE-Hsp90, which is essential for the actions of multiple oncoproteins. Along these lines the Chiosis lab developed PUH71, an inhibitor with selective activity against TE-Hsp90. In pre-clinical studies PUH71 was shown to potently kill DLBCLs without toxicity to other organs. PUH71 preferentially accumulates in tumors but not in normal tissues in animals and in humans. Indeed PUH71 distribution and tissue concentration can be precisely measured in humans using a novel PET scan method. PUH71 phase 0 and phase I studies are nearing completion, and have proven that PUH71 PET imaging provides an accurate measurement of tumor drug concentration and exposure (area under the curve), which in turn correlates with tumor responsiveness. Hence PUH71 is a potentially unique personalized companion biomarker for drug activity that may allow treatment to be individually tailored to patients. Herein we propose to perform the first phase II trial of PUH71, in patients with relapsed refractory DLBCL, accompanied by PUH71 PET non-invasive imaging, as well as correlative science to evaluate putative biomarkers that have emerged from pre-clinical laboratory studies. Aim 2. Compare and contrast spectrum of activity among DLBCLs to Hsp90 and Hsp70 inhibitors. Aim 3. Build rational combinatorial regimens anchored on PUH71 and Hsp70 inhibitors. Figure 3. Most common genetic lesions associated with the two major cell-of-origin based DLBCL subtypes. Aim 1. Identify the full complement of genetic and epigenetic lesions affecting CBP/p300 and investigate their pathogenetic and clinical impact in DLBCL. Aim 3. Elucidate the role of CBP inactivation in lymphomagenesis in vivo. Aim 1. To collect, process, bank, and distribute biospecimens from patients with DLBCL to SPORE investigators and collaborators in support of their research projects. Aim 2. To provide comprehensive diagnostic characterization of lymphoma specimens collected from patients enrolled on SPORE clinical trials. Aim 3. To process and perform integral and integrated biomarker analysis on biospecimens collected from patients enrolled on SPORE clinical trials. Specific Aim 1: To provide statistical and bioinformatic expertise in experimental design, data analysis and interpretation. The core will be involved in the studies from the conception stage all the way to its completion and dissemination. Specific Aim 2: To develop and/or adapt and implement novel statistical and bioinformatic methodologies to meet need when standard methods are less than optimal. Specific Aim 3: To provide informatics infrastructure to enable collaboration and data sharing among the various projects and the three institutions that constitute this SPORE. The DRP Committee is responsible for the initial review and ranking of all proposed DRP applications. Detailed review and selection criteria are provided in the DRP Section of the SPORE. The SPORE Executive Committee will finalize the selection based on scientific merit, innovation, and programmatic needs. The PIs of funded DRP applications will be required to present progress report at least every 6 months at the monthly SPORE scientific and working group meeting. Funded DRPs will be reviewed annually during the IAB/EAB meeting. The evaluation process will result in one of the following outcomes: 1) continued funding for meritorious projects for an additional year; 2) discontinuation of funding, 3) recommendation to become a full SPORE project. Recommendations from the EAB will be ratified by a majority vote of the Executive Committee members. An important measure of success will be incorporation of a Developmental Project into a SPORE project, becoming a full SPORE project, securing external peer-reviewed funding, and outstanding publication record. The CEP Committee is responsible for the initial review and ranking of all proposed CEP applications. The SPORE Executive Committee will finalize the selection based on scientific merit, innovation, mentorship plans, and programmatic needs (Full description is provided in the CEP Section of the SPORE). The recipients of CEP awards will be required to present progress reports at least every 6 months at the monthly SPORE scientific and working group meeting. Funded CEP applications will be reviewed annually during the IAB/EAB meetings. The evaluation process will include its ability to recruit and train investigators who will continue to contribute to translational lymphoma research, participation of CEP awardees in SPORE projects, publication of translational lymphoma research in peer-reviewed journals, and securing external peer-reviewed funding. More details are provided in the description of the CEP. Anas Younes, M.D. 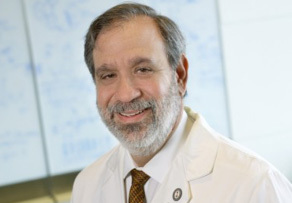 (Core Director, SPORE Director) is currently the Chief of the Lymphoma Service at Memorial Sloan Kettering Cancer Center (MSK) and a Professor of Medicine at Weill Cornell College of Medicine. He joined MSK in February 2013, after being on the faculty of MD Anderson Cancer Center for 20 years. He was the PI of the MDACC Lymphoma SPORE and has extensive experience in both translational lymphoma research and clinical investigations in lymphoma. His research currently focuses on the development of targeted therapy for lymphoma, and identifying predictive biomarkers for response. At the national and international level, Dr. Younes is a member of the Scientific Advisory Board of the Lymphoma Research Foundation, and a past member of the NCI lymphoma Steering Committee. He served as a member of the Lymphoma Committee of the Southwest Oncology Group (SWOG), and he is currently a member of the Scientific Advisory Committee for the International Symposium on Hodgkin Lymphoma (Cologne, Germany) and the International Congress on Malignant Lymphoma (Lugano). He is an external advisor to the Iowa/Mayo Lymphoma SPORE. As the SPORE Director and Administrative Core Director, Dr. Younes has the overall administrative, fiscal, and scientific responsibility for the Lymphoma SPORE. Dr. Younes’ duties as the Core Director include serving as the Chair of the SPORE Executive Committee, chairing monthly SPORE investigator meetings, coordinating the annual progress reports submitted to the NCI, coordinating participation with the annual NCI Translational Science meetings, and coordinating the annual SPORE IAB/EAB meeting. Andrew Zelenetz, M.D., Ph.D. (Core Co-Director, SPORE Co-Director) is the former Chief of Memorial Sloan Kettering’s Lymphoma Service. He is an internationally known lymphoma clinical investigator who participated in the development of several new agents for the treatment of lymphoma, including 131I-tosituomab/tositumomab, bortezomib, and pralatrexate. He has published more than 100 papers on lymphoma research in journals such as Blood, Journal of Clinical Oncology, and Clinical Cancer Research. Dr. Zelenetz is involved in several national organizations that provide information about lymphoma treatment and fund laboratory and clinical research. He is the chairperson of the Non-Hodgkin Lymphoma Guidelines panel of the National Comprehensive Cancer Network and vice chairperson of the Lymphoma Core Committee of the Cancer and Leukemia Group B. He is also a member of the scientific advisory board of the Lymphoma Research Foundation. Dr. Zelenetz’s research interests include understanding the molecular biology of lymphoma and assessment of minimal residual disease.